It’s summer, but it seems the British aren’t going to the seaside like they used to. An item on BBC Radio Five (August 12, 2015) extolled the virtues of the National Trust reserve at Formby, Lancashire, part of one of the largest areas of unspoilt dunes in Europe. The is safe haven for some of the few remaining red squirrels in England. I visited its beach, and toured the adjacent coastline recently, staying at Southport. There are beavers, Britain’s noisiest toad, the best asparagus around, and Southport, North West England’s quieter alternative to Blackpool. One of the classic seaside resorts, it has a grand old pier in renewed Victorian pomp, a spacious shopping street fit for an emperor and sunlit glass-roof arcades. 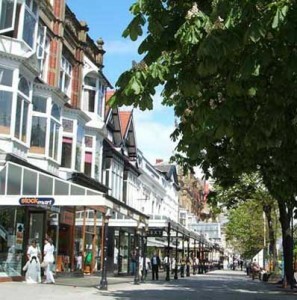 Visit England recently named Southport as one of the best places for shopping in England. It noted that while, in the Northwest, Liverpool and Manchester offer everything from “glittering malls to obsessively run record stores”- nearby Southport on the Sefton Coast has the famous shopping Mecca of Lord Street. Outside Paris, you won’t find many grander mile-long boulevards, fringed with covered walkways to keep the rain off pampered shoppers, and elegant civic gardens. Lord Street is an outstanding example of Victorian town planning. I liked the Victorian and C20 paintings in the wonderful little (and free) Atkinson Art Gallery. And the original shopping arcades. Best is Wayfarers Arcade, with its mahogany staircases and glass roof – it was bathed in sunshine on my visit. Prince Louis Napoleon lived here. Later, as Emperor of France, he asked Haussman to design broad boulevards for Paris. Coincidence?